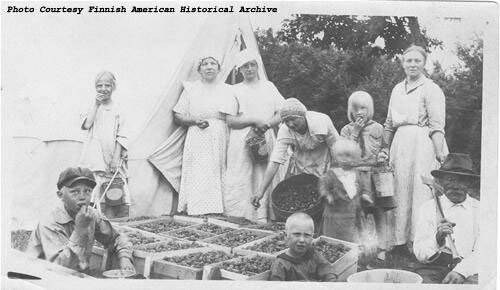 Refugees, 1913: Calumet was populated by immigrants, many of whom fled their native lands due to war, famine, or political persecution, and came here seeking a better life. The Bowling Green Massacre? What’s that? Most people never heard about a massacre in Bowling Green, Kentucky, because it didn’t get covered, she claimed. I’m not sure why Chris Matthews let this slide; maybe he’s learned that there is no point talking facts with someone to whom facts “no longer matter,” as Robert Reich put it. To be clear: there’s no such thing as the Bowling Green Massacre. It never happened. Ms. Conway has taken her canon of “alternative facts” to a despicable new place: now she’s just making up history. To say that we have gone through the looking glass is now an understatement. History presents many cases where there was in fact a massacre but people are loath to acknowledge it, make up alternative stories to justify or accommodate it, or deny it outright. We found our way into this territory in the course of working on 1913 Massacre, and there are still people to this day who bristle at the word “massacre” (a word Woody Guthrie took from Mother Bloor), or who claim that the doors of the Italian Hall opened inward. Maybe it’s just too much, too horrible to contemplate; maybe outright denial, fussing over terms, or blaming a badly designed door, is a way for people to get by and for neighbors to get along. When we interviewed labor historian John Beck, he likened the reluctance to acknowledge the truth of what happened at the Italian Hall to the story told in Garcia Marquez’s One Hundred Years of Solitude (which is based on the actual slaughter of United Fruit Company workers by Colombian government forces in 1928): in the novel, Jose Arcadio Segundo returns to Macondo, where he witnessed the brutal massacre of three thousand strikers, but he can find no one who will believe him. Nobody’s ever heard of a massacre — not even the friends and families of the dead. When you start playing political games with historical memory, you enter a very tricky, dangerous place. Woody Guthrie knew this (and, let’s admit it, he knew how to play the game). Rational people can argue about interpretations. This is different: when you refuse history, you falsify the present and foreclose on the future. We learned that much in Calumet. And when you make up massacres that never happened, you risk losing sight of those that did. I lost 3 uncles in that fire that night and the story that was pasted down through the family was the door openin in so no one could get in. Since then a law was made so a door leading out from a building would open out. It is also against the law to yell fire in a movie theatre or building. The ulternative story is hard to believe. Hard to believe that the company thugs could be so cruel that they chained the doors shut or held them shut.